After Hours Press has partnered up with Ape Entertainment to bring to life a brand new comic series. Created by Boomer Esiason, Darren Sanchez and Lee Becker… and written by Darren and his 14 year old daughter, Emily Sanchez, Genie the Genius is like nothing you’ve seen before. 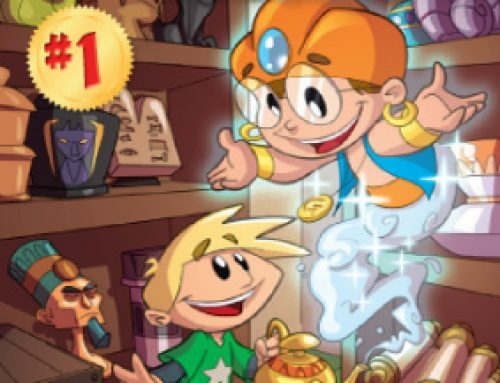 Available in August at comic shops nationwide and online in digital format, this children’s comic has been described as Fairly Odd Parents meets The Magic School Bus. Comic book news site, Jazma Online recently interviewed the comic’s creators. Check out what they had to say about Genie. And don’t forget to pick up your copy of Genie the Genius #1!